The UC Board of Regents voted today to approve a 9.6 percent increase in systemwide fees, bringing annual undergraduate tuition to $11,220. This increase follows the 8 percent fee hike passed by the board in November, and is the second such increase in less than a year. The UC Board of Regents convening at UC San Francisco's Mission Bay Conference Center. The Board raised tuition by 9.6% in Thursday's vote, bringing it to roughly double the amount in fall 2005. Photo by Prescott Watson. The fee hike will affect undergraduate and graduate students, beginning fall 2011. Raised tuition comes in response to the $650 million state cut funding for UC last month, reducing total state support for the university by more than $880 million, and leaving the UC with a $1 billion budget shortfall, according to Nathan Brostrom, the UC system’s executive vice president for business operations. The board voted 14-4 for the increase. Regents Eddie Island, Student Regent Alfredo Mireles Jr., George Marcus and Lt. Gov. Gavin Newsom were opposed. Newsom urged the regents to send a message to lawmakers by refusing to raise tuition. 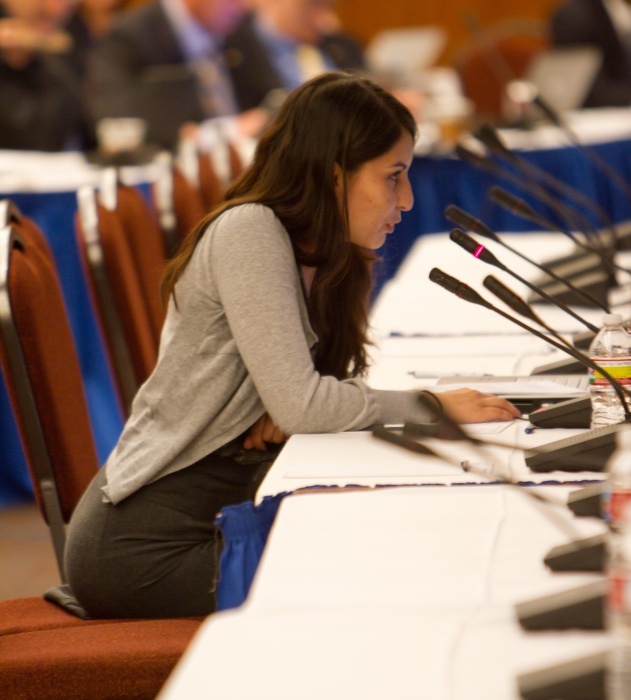 Claudia Magaña, a UCSC third-year and president of the UC Students Association, addresses the Board of Regents on Wednesday. In her address she urged the regents to absorb the state budget cuts through means other than tuition increases. Photo by Prescott Watson. Some members of the UC community publicly opposed the proposal in the days before the vote. In a July 11 press release from the University of California Student Association (UCSA), Claudia Magaña, UCSA president and UC Santa Cruz third-year, said the regents and the University of California Office of the President (UCOP) should “make every effort to absorb the additional $150 million cut,” rather than placing further financial burden on students. “Students reject the approach taken by the UC Regents, which has presented an increase to student fees as the only available option to address the entire additional cut from the state …. The regents cannot simply pass this burden onto students and their families through endless fee increases,” Magaña said in the release. A portion of the revenue from the increased tuition will go to the UC’s Blue and Gold Opportunity Plan. The plan covers tuition for students from families with annual incomes of $80,000 or less who qualify for federal, state or UC financial aid. For students from financial aid-eligible families with annual incomes up to $120,000, the tuition increase will be waived for the 2011-12 year. One-third of revenue from tuition increases will go to financial aid, according to a July 13 release from UCOP. 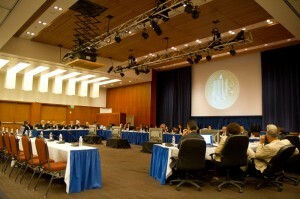 University of California President Mark Yudof was not in attendance at the July 14 meeting of the Board of Regents.